I am obsessed with rugs. All shapes, sizes, materials, etc. So, when Serena and Lily asked me to review their beautiful jute rug I was all over it. Of course, the fact that this jute rug is the most amazing round version also played had me beyond thrilled to participate in this collaboration. I had been admiring this gorgeous round jute rugs all over pinterest and had been jumping at the bit to add one to my ample rug collection. As you know, my mid-century home is a work in progress. One of my favorite rooms is the sunroom off of our living area. Unfortunately, I had been less than thrilled with the flooring...until I dressed it up with my new jute rug from Serena and Lily. This rug fits in perfectly with my scandinavian inspired interior and is the finishing touch I have been waiting for. I am also pleasantly surprised with the durability of this particular rug. I have tried other floor coverings in this space but have found that they are short-lived additions. Due to the climate conditions in my neck of the woods, dust is a huge problem….so much so that I have had to roll up most of my rugs until the dry dusty summer passes. 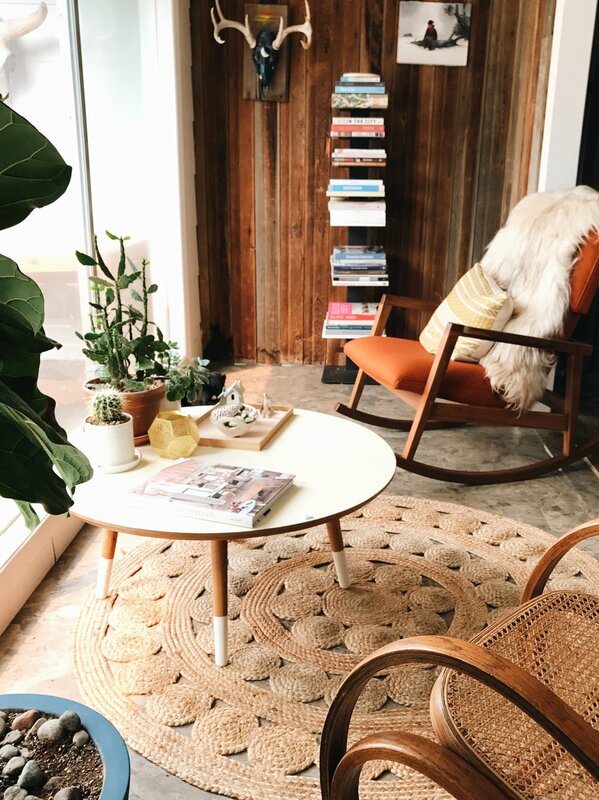 The Serena and Lilyround jute rug has proven to hold up perfectly, even during this time of year and does not need to be stored until more favorable conditions apply. I am also thrilled with the natural fibers and appearance...the perfect design addition to compliment my plants and natural wood elements. Perhaps the best news of all is that Serena and Lily is generously offering a discount to my blissful readers. Valid for one week only, Serena and Lily is offering 15% percent off! Just use code "RUGLOVE-BLISS”...lucky you!